Dating in a time where we use apps and social media abundantly to determine if someone is suitable has skewed things a bit. It used to be that dating happened through meeting someone at work, through a friend, a family member, or at a social event. Times have definitely changed. But, even with all of the additional dating options available to us, it hasn’t made finding love any easier. When I surveyed my clients I coach in relationships and asked them how they determine who they date, the answers were pretty varied based on their personality. One of my clients in his early 30’s told me that he predominantly used dating apps to find someone. I delved deeper and asked him how he determined if someone was a match off first glance using a dating app. He told me that after he saw someone he was interested in on a dating app, he would then go to her social media pages and look to see what types of things she was in to, how her friends were, and just her flow of life. He felt this gave him a good perspective on who she was and if she was someone with which he was compatible. Interesting approach, I thought to myself, but this could be tricky based on how dedicated someone is to their social media, so I started talking to my other clients to gain some additional insights. My other client looked at it a bit differently. She is more of an extrovert and enjoys socializing with others. She stated that she used Meetup and locally established single dating events to find someone who was compatible. She felt if she were doing things she liked it would increase her chances of finding someone like-minded and the face-to-face interaction would either give her pause or a reason to pursue the person further. This made me pretty curious as to how someone who isn’t into social media and who is more introverted would navigate dating. So I decided to reach out to a client who was more of an introvert to see how and if they used technology in their quest to find love. My other client, who is an introvert, approached dating completely different from the others. She hated dating apps and social media. She felt like what you saw could be distorted because often in her dating experience she didn’t see that individuals necessarily matched up with what they seemed to be in the dating apps and social media. She was resigned to the fact that the person she was supposed to be with would come along and she was going to dedicate little effort to seek out someone. It’s a way to approach finding love, but like anything else you want in life, it usually requires some dedicated effort and attention. Love can’t be forced, but you can put yourself in situations where you significantly improve your chances of meeting someone. Three different clients and three entirely different perspectives on dating. 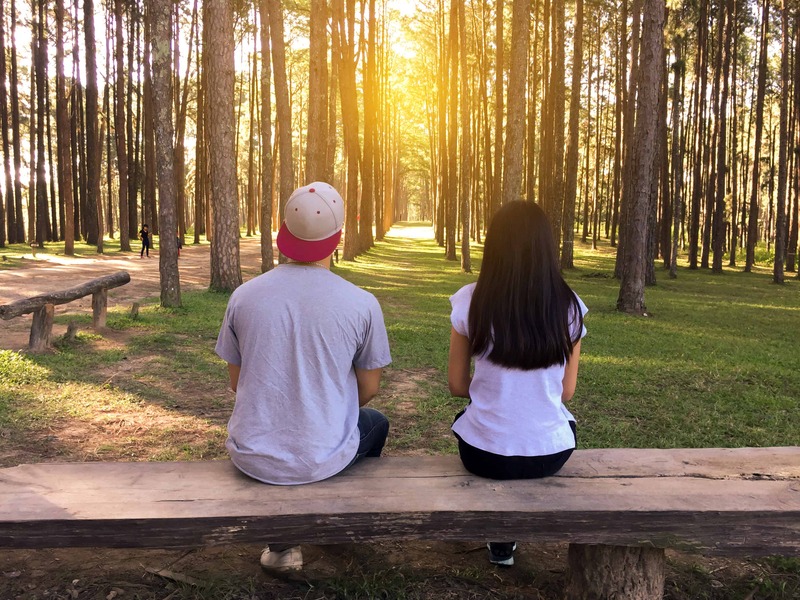 But dating in itself is complicated, and these days with a highly sensitive work environment, dating someone you meet at work could be a steep path to navigate. Relying completely on social media could also be a trap, after all, have you heard of the show, “Catfish?” And while events can be an excellent way to meet someone, sometimes events don’t put you in front of the person who may be the right match for you. There is only so much time in the day to focus on finding love and dating in addition to everything else you have to do. So I have thought of some practical tips for each of you, based on your personality, to add value to the way you date and make the process more effective for you. Yes, dating apps can work, and statistics show that increasingly this is how a lot of people are meeting and hooking up to have relationships. It’s ok to use a dating app but look beyond the obvious. Physical attraction is the beginning of the relationship and dating apps and viewing someone’s social feeds play to this vantage point. However, dig deeper and be open to using alternative dating methods in addition to this avenue. In other words get outside of the app and social media world and engage in real-world interactions to up your dating game. There is nothing like a face-to-face interaction to learn about and engage openly with another person. It’s hard to fake who you are continuously when you are interacting with someone in real time, but unfortunately, someone can do the opposite on a dating app or social media feed. Practical dating tip: It’s ok to use dating and social media when dating, but also don’t be afraid to talk to someone you may see out at a grocery store, while you are hanging out with your friends, or at a sporting or an event. Interacting with people in person will help you to up your dating game, expand your horizons, and see other things that aren’t readily accessible in your dating app. Increase your social interactions in real time with people. It will broaden your dating experience. I wholeheartedly agree that attending events in which you have an interest can be a good starting ground for meeting others. If it’s a meet-up for an activity, this can give you a better perspective on someone’s personality in totality. If it’s playing games, doing sports, camping or hiking, you can get an inkling of others oddities, if they are a team player, their social adequacies, and deficiencies. It can be fun. But, don’t stop here. Practical dating tip: Meetups and events are cool, but mix it up and expand the way you date. Integrate a dating app or two into the mix. It’s ok to use a dating app to widen your net to meet people who you might not typically come in contact. If you have mastered meeting people at live events, the dating apps will give you an opportunity to ease back, sip some wine, and take your time in choosing someone who is just your speed. I understand that sometimes it can be equally satisfying to be in your space than to have someone who could be a pain invade yours. No one is more in touch with themselves than you. But, here is where I have to be real with you. You will not broaden your dating options by chilling out on your couch watching Netflix or spending most of your time alone. I get it. I realize that Netflix binging is so much fun and alone time can feel good, but you have to put in some effort to find love. If you want to connect with others, you’re going to have to be flexible on balancing this time between yourself and others. You have to step outside of your comfort zone. The good news is that you have a lot in your favor as an introvert. You probably have a strong sense of who you are and you are able to have a high level of being content on your own. Introverts also are great listeners and observers of others. Having a strong sense of self will help make the dating process of weeding out the undesirables a lot easier for you. Practical dating tip: Start slow, but choose a dating app that allows you have more control of the process. Bumble is a good one if you are a woman because it gives you the power to approach first if you are interested. If you are a guy, who gets utterly nervous about going up to a woman to talk, start with taking small steps. I like the First date app because it forces you to go on a date with your matches. It’s three steps. Sync it with your Facebook profile, and you’re done, you can then post your own date time or look at date ideas others have posted, and interested people can submit interest in you which you can accept or not. You then meet up with a date. It cuts to the chase, but it’s a way to get your out of your comfort zone and in front of people to determine who is most compatible for you. If this is too forward for you, try this as a way of easing into the dating scene. When you see someone you like, think of friendlier ways to start a conversation. Compliment her/him on something they are into in a tasteful manner. If they are into technology, strike up a conversation on that topic. If they seem to be a foodie, ask what restaurants they suggest you check out. Observing what interests someone else and then striking up a conversation on that topic will help break the ice and help you get the know the other person in a more natural, unforced way. For everyone, regardless of personality type, think of your interactions more as building a friendship then finding a partner. Do some of the things you normally do to create a bond with others, similar to building a friendship, until you determine you have more interest. Taking these steps will help you foster a relationship that works for you. Hope these tips help you in your future dating excursions. No one ever said finding love is easy. But, if you are willing to change up what you have done before and try something new, a whole world of possibilities will open up.